With five months to go before the midterm elections, the special counsel says meddling efforts still haven't stopped. Foreign efforts to interfere in U.S. elections are still going on just five months before the midterm elections, special counsel Robert Mueller told a judge on Tuesday. Mueller made the assertion in a filing in U.S. District Court in Washington, in his prosecution of 13 Russian nationals and three companies who were indicted in February on charges including interference in the 2016 presidential election. It says the government believes foreign "individuals and entities" are continuing to "engage in interference operations like those charged in the present indictment." The filing seeks to protect evidence requested by one of the companies, Concord Management and Consulting LLC, which provides food services at the Kremlin and is run by Yevgeny Prigozhin, who prosecutors allege is close to Russian President Vladimir Putin and has had "extensive dealings" with the Russian Defense Ministry. Attorneys for Concord Management say they need the evidence gathered by government investigators to help with their defense, and they have objected to stringent secrecy measures Mueller's team has proposed — restrictions that would bar Concord from sharing the evidence with Prigozhin or any of the other co-defendants unless they first appear in court. So far, only Concord Management has appeared in court, having pleaded not guilty last month. Prigozhin, 12 other Russian nationals and the two other companies — Concord Catering and the Internet Research Agency, which prosecutors describe as a Russian online "troll farm" — have yet to make court appearances. "As long as Prigozhin chooses not to appear personally in front of this court, he is not entitled to review any discovery in this case," the government motion contends. An attorney for Concord Management didn't immediately reply to an email seeking comment. The motion, which is signed by Mueller, says Concord Management's co-defendants must appear in court to agree to his restrictions. Allowing wider access to the evidence without such agreements would jeopardize "sensitive information that remains relevant to ongoing national security investigations and efforts to protect the integrity of future U.S. elections," it said. 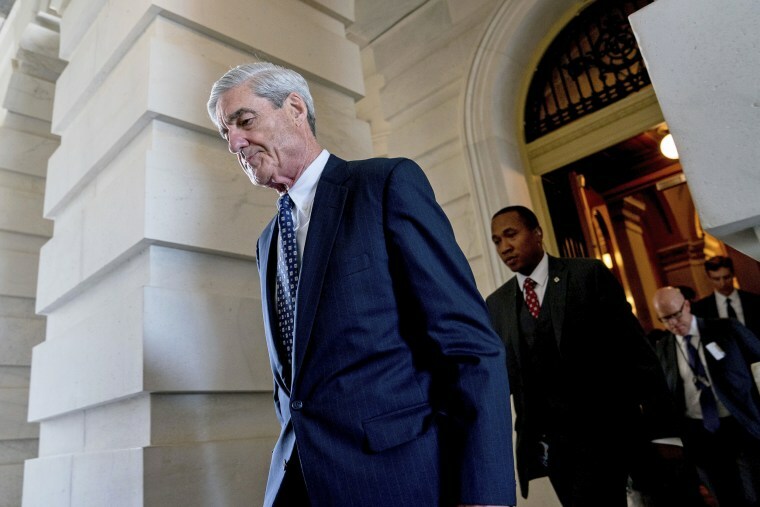 Besides potentially compromising intelligence sources and techniques, Mueller wrote, allowing wider access would the publicly identify "uncharged individuals and entities that the government believes are continuing to engage in interference operations like those charged in the present indictment." The investigation — which has been dubbed the "Russian chef" case because of Prigozhin's alleged ties to Putin — yielded the first grand jury indictment tied directly to Russian meddling in the 2016 election. "Some defendants, posing as U.S. persons and without revealing their Russian association, communicated with unwitting individuals associated with the Trump campaign and with other political activists to seek to coordinate political activities," according to the indictment (PDF), which was filed Feb. 16. By Election Day in November 2016, the Russians' efforts included "supporting the presidential campaign of then-candidate Donald J. Trump and disparaging Hillary Clinton," the indictment alleged. Dan Coats, the director of national intelligence, last week issued a similar warning about November's elections, saying at a conference in France: "It is 2018, and we continue to see Russian targeting of American society in ways that could affect our midterm elections." Trump has denied any collusion with Russia and tweeted specifically in response to the indictments in February that "the Trump campaign did nothing wrong — no collusion!" Russia, as well, has repeatedly denied any effort to influence the election.